Let your fans support your team in comfort with this recycled promotional seat cushion. 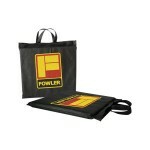 Its convenient carry handles allow your customers to easily tote it around. Available in black, blue, green, orange, pink, purple, red, white and yellow. Over 95% of this product is made from recycled material.